Ring in this coming year with a Fresh Style Agenda! Promise to yourself "NEXT YEAR, NO MORE EXCUSES" for not shopping the styles that you always wanted. Romantic, Dramatic and thoroughly Modern is what we see on the runways for a fresh year. So put your stylish foot forward as we have a long list of fashion trends to be tried. 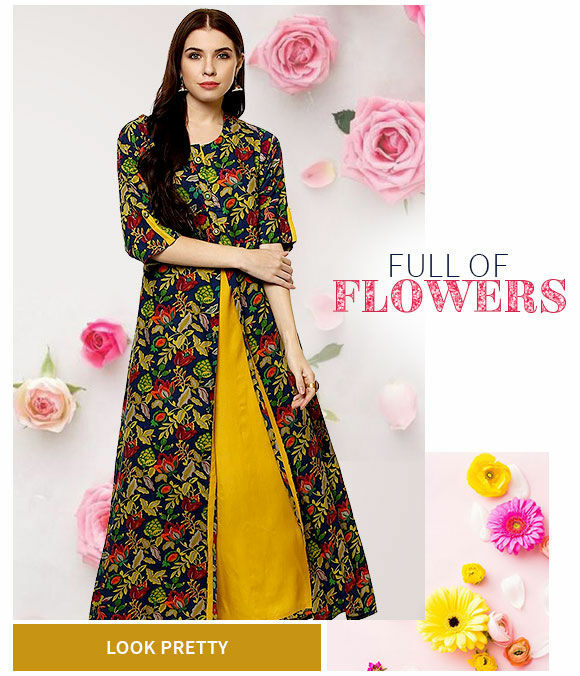 Infuse a little more life into your current wardrobes with the winter blues, tone on tone attires and the flowery beauties. The possibilities are endless! 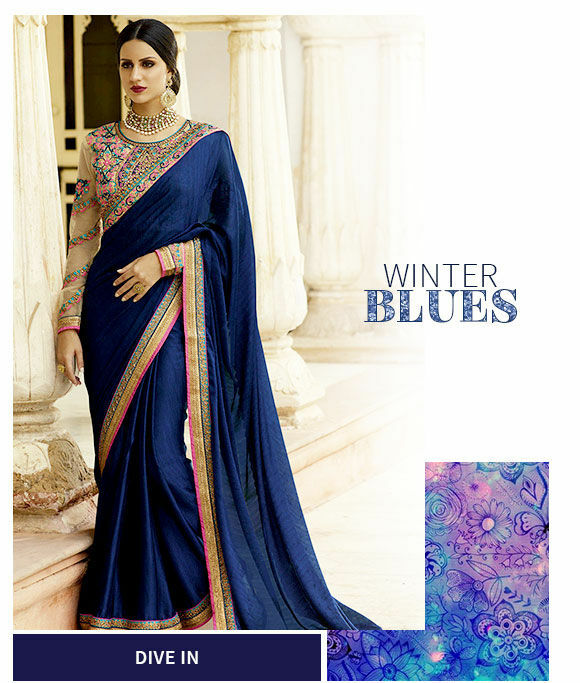 Winter calls for fashion on the rocks and what better way to flaunt it than in blue? Invest in Inky blue and look like the winter fairy you are! 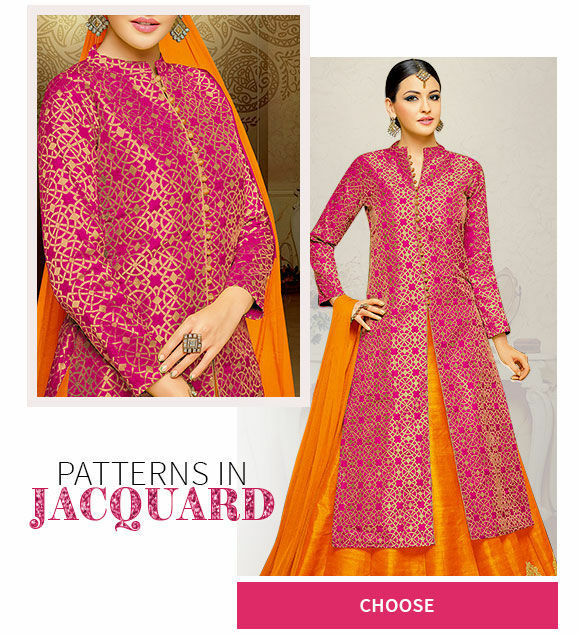 Jacquard fabric is a must have in winters! Comfortable to wear and gorgeous to look at, you have no reason to not get them. 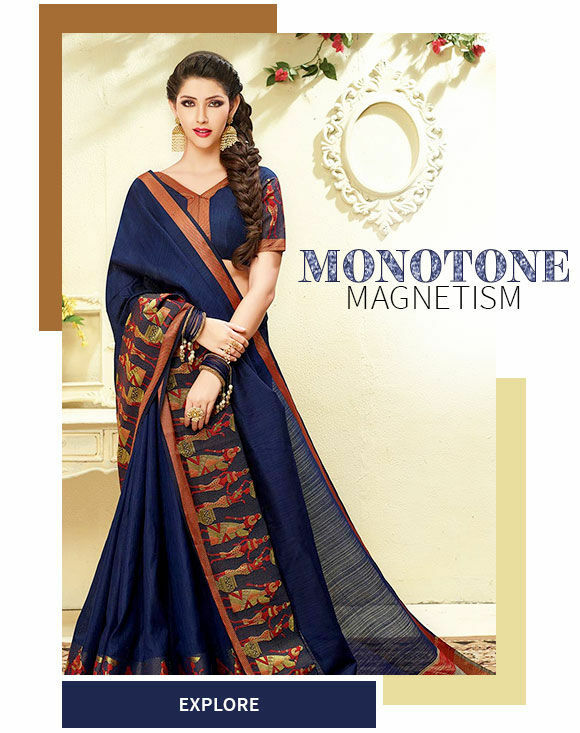 Get ethnic attires in this loved fabric right here! Be the lady in layers as you exude gracefulness through your feminine silhouttes! Pretty and stylish, these lehengas and salwars will make you the show-stopper! Chokers go perfect with everything and why shouldn't they? Gorgeous stone studded jewelry with long pallu art silk sarees will make heads turn. We're banking here on all the pretty floral dresses from the 60s! After all, florals and fashion never part ways and make way for the most romantic outfits. Complement your woven sarees with the Bollywood trend of flowers in the hair that'll have you looking stunning as ever! 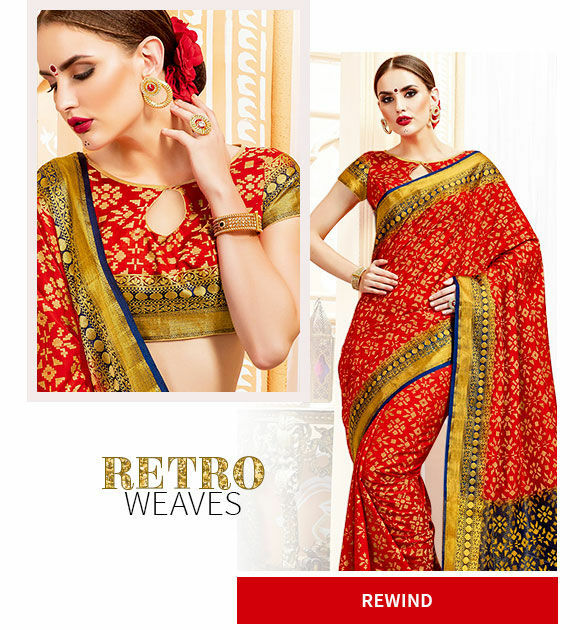 Get woven sarees in various colors and styles. The monotone fever doesn't fade away! Classy and chic, it look selegant on all. 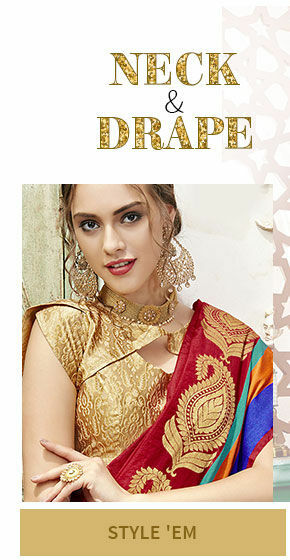 Sarees, lehengas and suits in single bold colors, here!